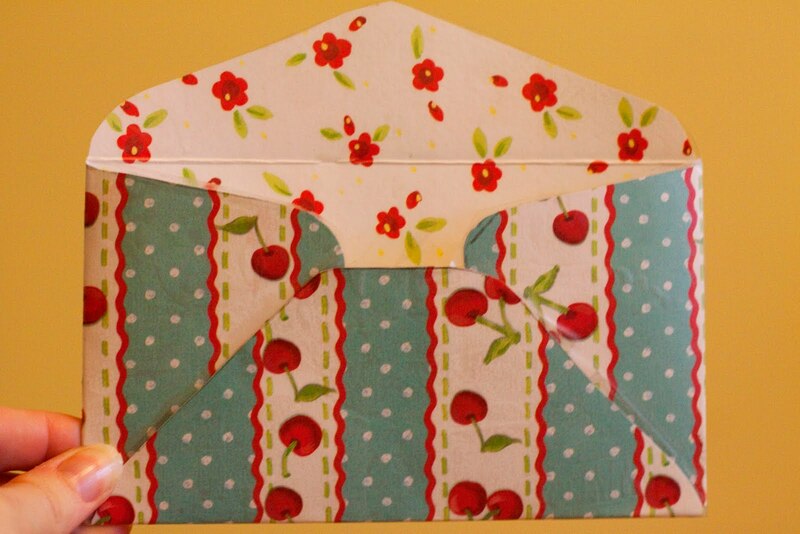 In order for this budget to work, the envelope I store the cash in needs to be cute. So, I made it cute. 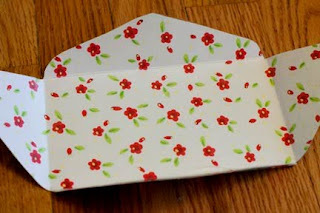 You could use this for coupons, recipes, or storing receipts. Anything where cute is required to maintain order. In my life, cute is always required to maintain order. Another thing you can add to the envelope is this Organic Produce Guide that I found on my friend Tara's blog. (It's a cute way to remember what to always buy organic and what isn't as important). 1. 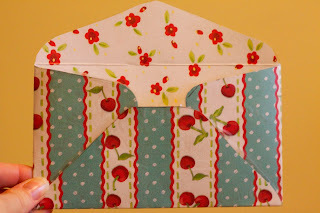 First, you need to make an envelope template. 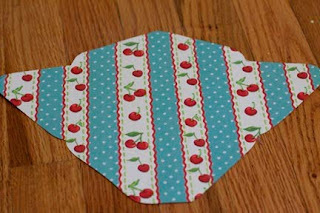 An A2 envelope perfectly fits cash and I wanted my envelope to be small enough to easily fit in my purse. It also fits well on a 12x12 piece of paper. I steamed it open using my teapot and some tongs. [I felt like some kind of secretary spy from the 40s or something.] Just don't burn yourself on the steam! Use the oven mitt! And the tongs! 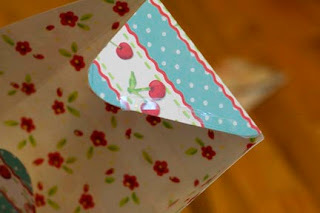 Use the completely opened envelope to A. Trace on your 12x12 piece of paper or B. 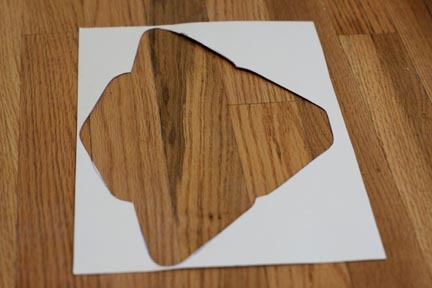 Trace on a piece of cardboard to use as a permanent template. I chose to do the latter. 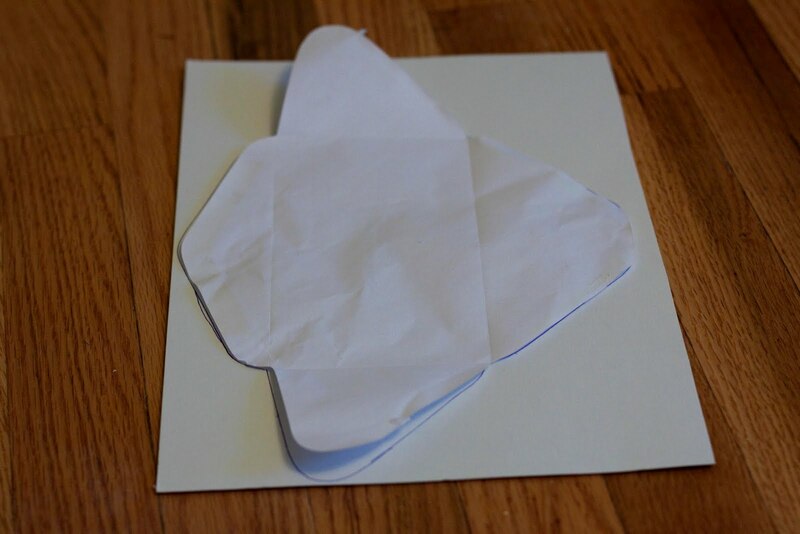 I cut out the envelope shape to create the template. 2. Next, cut out the envelope from your chosen paper. The template is great because you can see what you are cutting and make sure everything is lining up. 3. Next, laminate what will be the INSIDE of your envelope (in my case, the flowers). Trim the laminate so it is even with the edge of the paper. 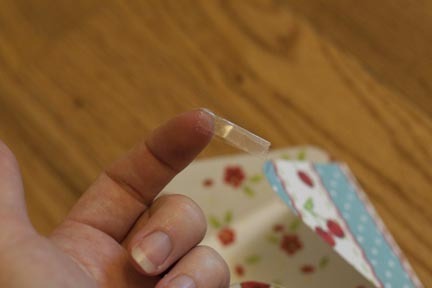 Once it is laminated, fold all flaps in to pre-crease them. 4. 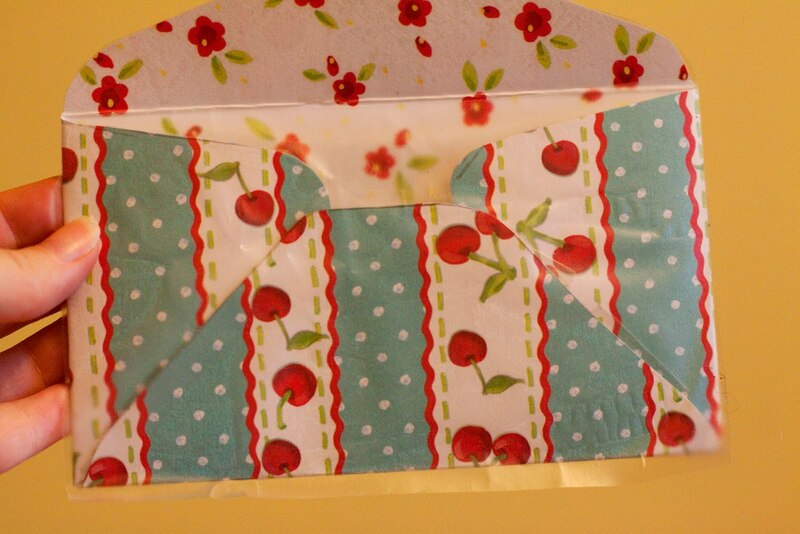 Then, using double sided tape (mine I folded in half to make it thinner), assemble the envelope. Place the double sided tape along the bottom edge of the envelope's side flap. Smooth the laminate as you go to get rid of any air bubbles or wrinkles (you could use a bone folder - I used my fingers). 6. 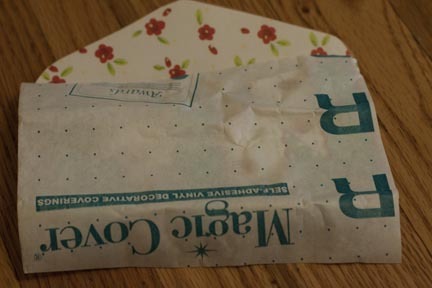 Lastly, laminate the smooth side of the envelope, including the top flap. 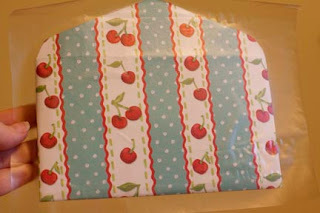 Leave about a 1/8" edge around the envelope, then fold it over to the pocket side to seal it all in! This is the envelope before it is trimmed to an 1/8" edge. 7. Insert money and go SHOPPING! Love it!!! Good idea and way to make things more pleasant. You're cute and definately Quaint & Quirky. very cute! 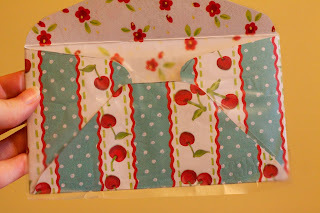 I got plastic envelopes from the dollar tree, but this might work just as well! Thank you for sharing your tutorial, I can't wait to make some for myself.